HAIRBAND EXTRAVAGANZA UK TOUR 2013 will kick off from October 2nd. 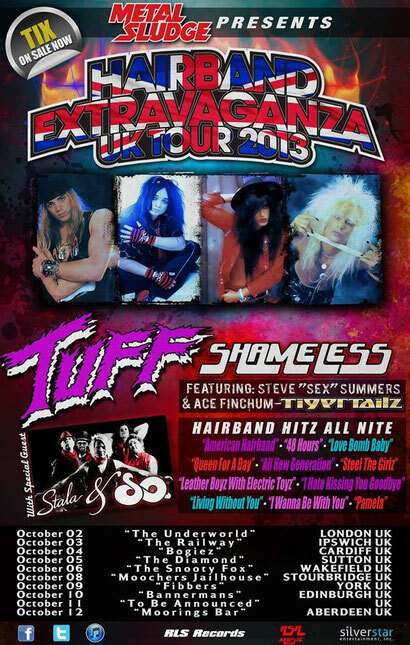 TUFF (USA), SHAMELESS (Germany), TIGERTAILZ (UK) and STALA & SO. (Finland) will tour together throughout UK from October 2nd to 12th. For more details visit on each bands website.